Get Started with Reveal Chromatography today! Purpose: Calibrate simple CEX models (non pH-dependent). Model proteins using "Langmuir" or "Steric Mass Action" models. 1-click installer for Windows and in-app software updater. Modeling and Software support (40 hour packages, expire after 1 year). 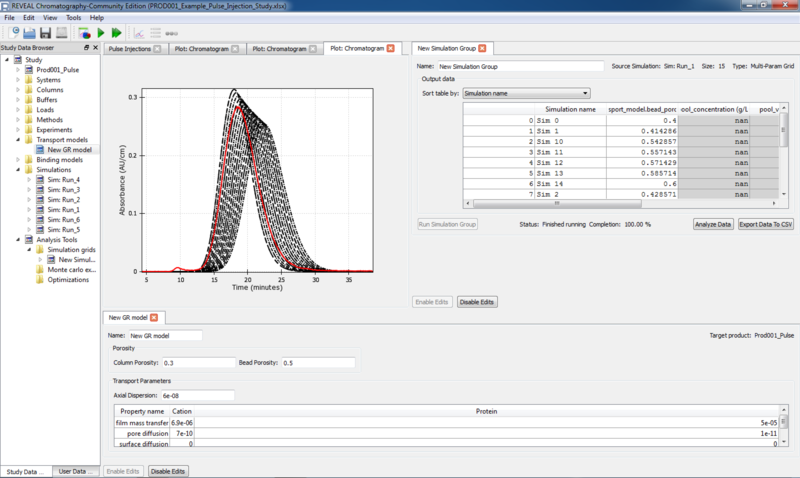 Chromatography modeling consulting: experimental data collection or review, model building, process optimization and characterization. Group training: “Python scripting for Chromatography modeling” (3 days). Software feature acceleration and software consulting.